Cremation has been a common practice for most nations throughout history. There have been a few places, such as parts of Judea, Egypt, and in China that do not condone it. Nomads found cremation to be convenient and reduced their fear of the ghosts haunting them. There is no condemnation of cremation in the Holy Bible. Catholics forbid cremation for centuries because they felt the soul would be burned with the body and you would be condemned to Purgatory or Hell. In 1963 the matter was addressed by the Pope when it was pointed out some of the martyrs were burned at the stake and then made saints (e.g., St. Joan of Arc). From that point on it was no longer forbidden for Catholics to be cremated. However, is still common for Catholics to avoid cremation because of past practice. In 1995 about 25% of Americans were cremated. About 75% of Japanese were cremated. Cemetery space is the key factor. 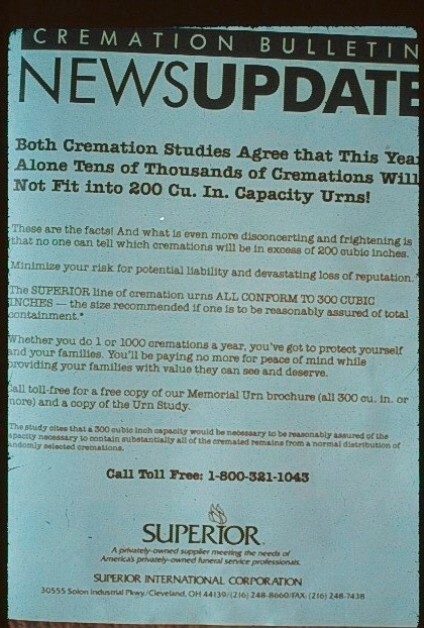 Americans have plenty now, but as the space runs out and the prices climb the percentage of cremations will increase. It's very fast and very simple. If burial of the cremains is required there needs to be only a 16" x 16" hole! In cremation what happens to a body in an hour or two equals the decay that happens in possibly 25 years following an earth burial. Both are forms of oxidation. There are a variety of steps that are available in cremation. The simplest is the direct cremation. Here the body is transported directly to the crematorium in a cardboard box specifically manufactured for that purpose. There is no service involving viewing the body in the funeral home. However, many people have a memorial service sometime after the cremation. Other steps may include many combinations of the following procedures: A viewing in the funeral home, including embalming and restoration; a service in the funeral home; a service in a house of worship, a service in the mausoleum if one is connected to the crematorium; a service in the crematorium; with a possible committal service as the casket moves toward the retort. Most crematoriums require a proper receptacle for the body. That usually means a casket. There is a good reason for that. The operator of the crematorium does not want to be lifting human remains - some are not embalmed - into the retort because of health, safety, and personal considerations. That means most cremations are done with the body in a receptacle. The retorts are fired up with oil, gas, and (rarely) electricity. Being familiar with oil-fired, I will describe that process in detail. The retort is lined with fire brick. 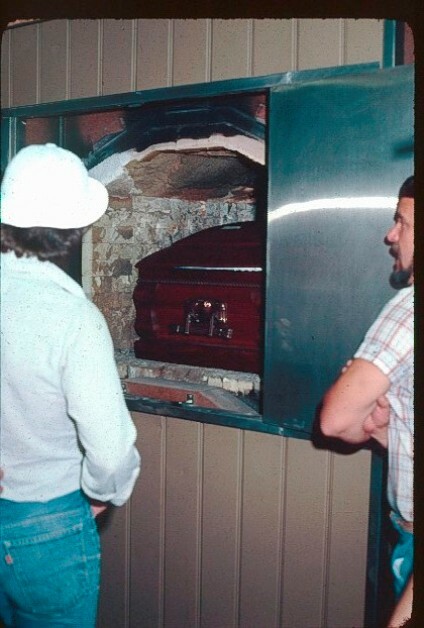 The casket is placed in the retort with the lid closed if it is wood. 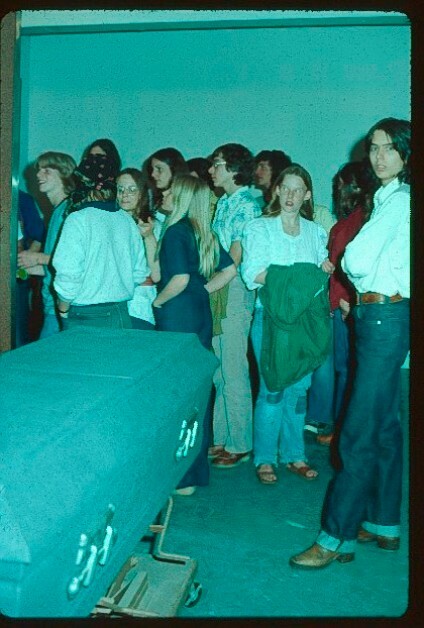 With metal caskets, if they are allowed, the lid is removed. 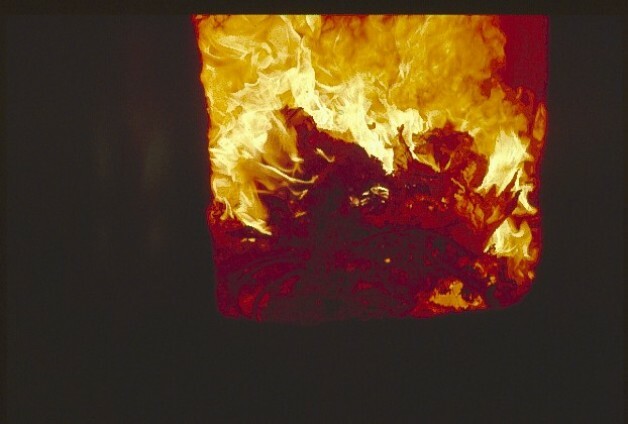 Fiberglass caskets create so much smoke, soot, and residue they are usually banned. 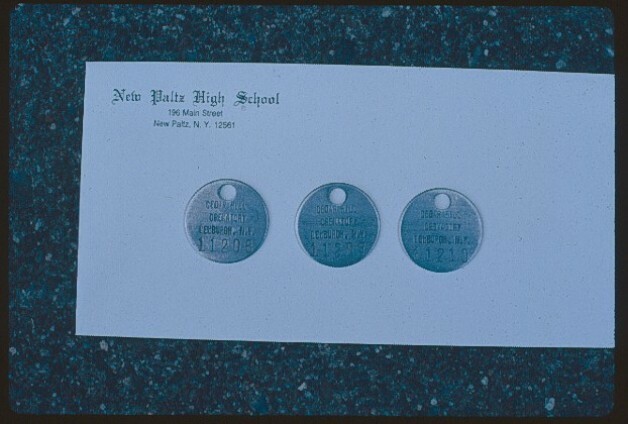 A metal tag with a number is added with the casket to keep track of who is being cremated. The heavy door is shut and the unit is turned on. There is a small window that may be opened to see the progress. At this time a flame is shot down from a position that is approximately over the chest. The flame is 3200 degrees Fahrenheit and literally burns everything that is flammable. The wooden casket turns into a slight ash which is caught by the filters. The water in the body is evaporated and then the fleshy part burns. Since a human body is composed of hydrogen, oxygen, nitrogen, carbon, and bone, after removing the water and other gases what remains is carbon and bone. So, at first everything turns black like charcoal (as burning meat on a stove would do) and then the carbon is slowly combined with oxygen and becomes carbon dioxide. The relentless flame continues to remove all traces of water and carbon even from the bone. What remains is the most clean and white bone one could imagine. It is sparkling! 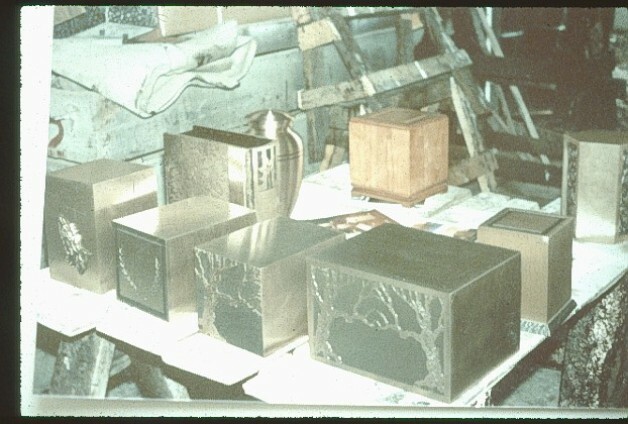 These are cremains. On the left George Mocko, past Supt. of Cedar Hill explains the retort interior. 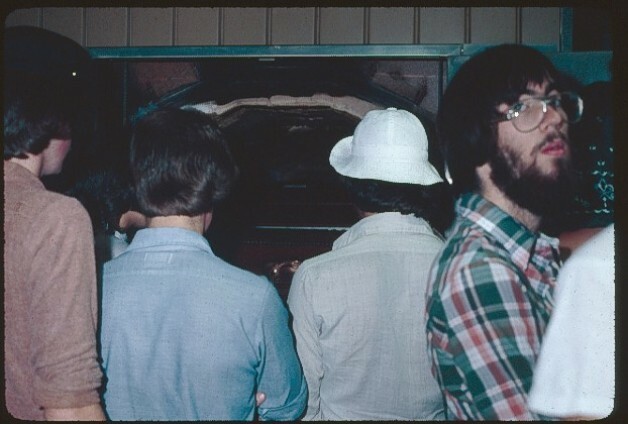 On the right is a student partially inside the retort. A casket is in the retort just prior to the start of the cremation process. There is usually no smoke emitted from the smokestack if things are in proper order. 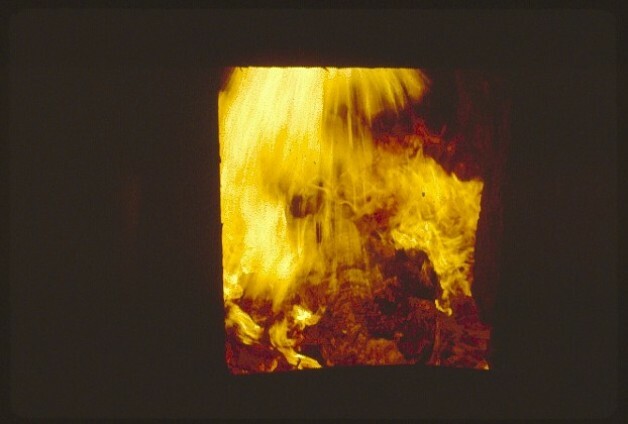 Any smoke or odors that are generated are reburned prior to being emitted to the environment. 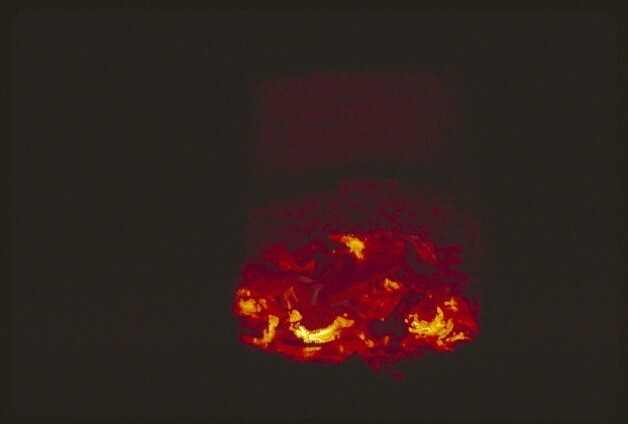 The only by-product coming from the chimney is heat, carbon dioxide, and water vapor although one time the operator at the crematorium turned the flame up to hasten decomposition and black oil smoke was discharged. This was done so the class would not see the first stages of the cremation. One time I was able to observe that stage. As one looked through the small door the body had moved to a sitting position and fluids were bursting from the upper torso. The different Death Education classes have seen a variety of final stages. During some it is possible to identify the lungs, heart, and some other internal organs just prior to them becoming carbon dioxide. They are black against the white bones that are visible during this stage. 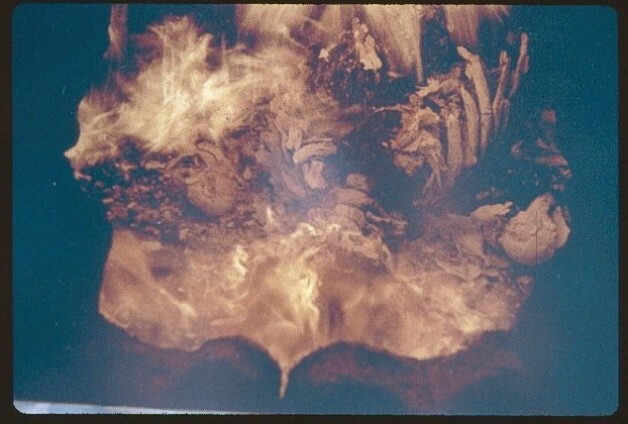 As the intensely hot flame is propelled downward from the top of the retort the casket is buried away quickly and then the skin, hair, fat and muscles are consumed. Here pieces of the ribs, vertebrae, and (right & left-center) the arm ball and socket joints are still visible. 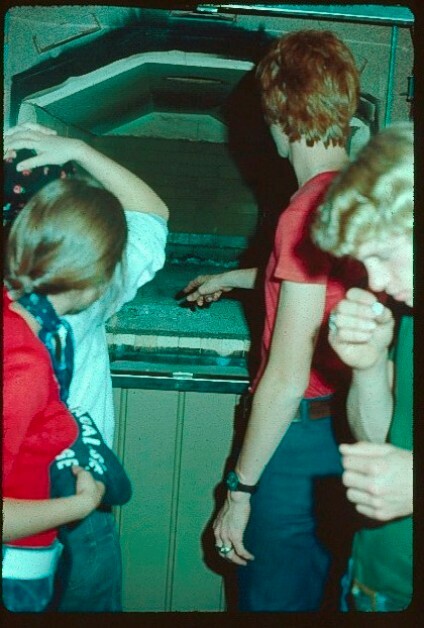 Peering through the small port hole in the door of the retort the student's observed the cremation process. 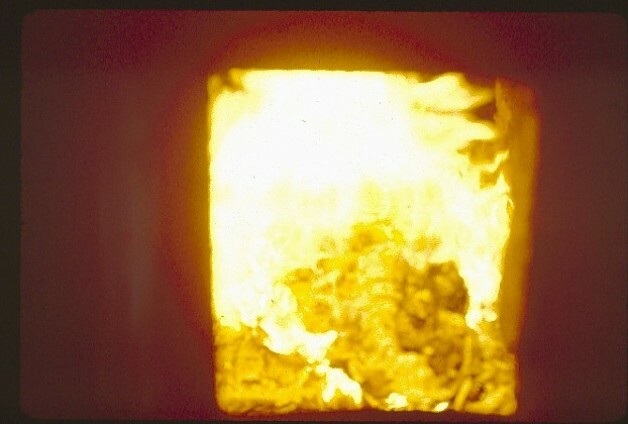 Toward the end of the cremation process only decalcified bone and metal pieces are left. The cooling down begins prior to removal. 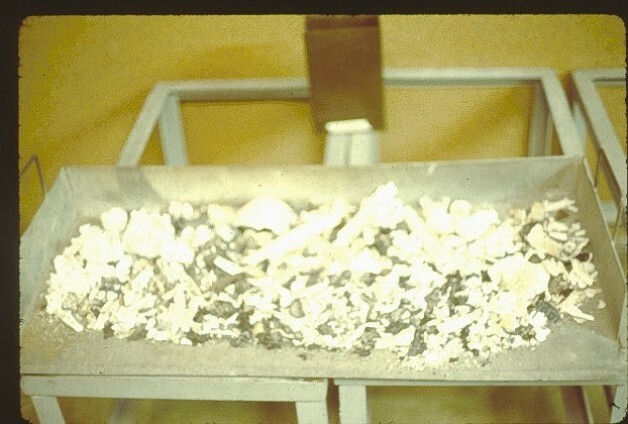 When the retort is swept out MOST of the cremains are placed in a metal tray for further cooling and possible pulverizing. The cremains average about 7 pounds and could fit into three regular-size coffee cans. Larger people leave more. Since they do not look anything like wood ashes from a fireplace, people in the funeral business tend to not use the word "ashes" when describing them. When removed from the retort they are usually scraped out with a tool into a pan. There are recognizable pieces of the skull, long bones, and vertebrae. The smaller bones may completely evaporate. 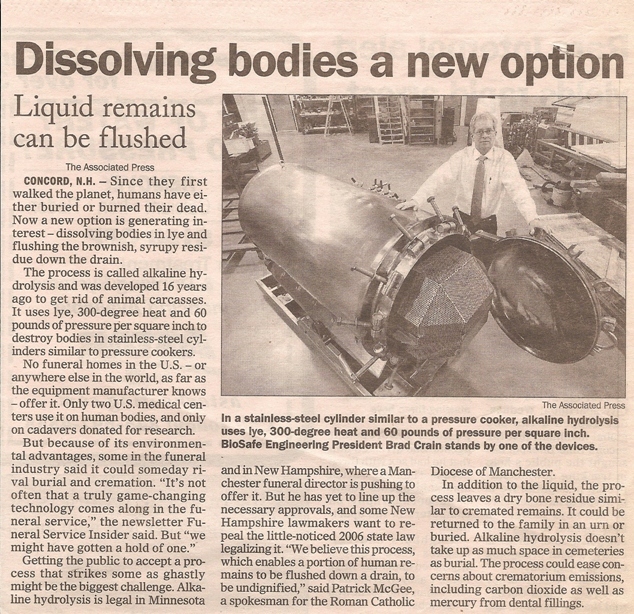 The cremains are put in a pulverizer and the chunks are reduced to a size of small pebbles. They still look like bone, but you usually cannot not tell which bone it is. Sometimes the bone pieces are not white. This is usually due to some cancer drugs that react in such a way during the cremation the bones to turn black. Sometimes fiberboard caskets leave black chunks of material behind. When that happens the operator will pick them out and discard them. Casket fixtures, hardware, nails, etc. are similarly discarded. Titanium ball and socket replacements for the pelvis/femur do not change. They also are removed from the cremains and discarded. Gold supposedly melts and evaporates. Pacemakers are banned because they explode and can damage the firebrick. Usually the funeral director will remove the pacemaker prior to arrival at the crematorium. Getting every single piece is almost impossible because of the super-heated condition. So, a very minor amount of very small pieces remain in the retort and are mixed with the next cremation. To get every piece would require a very long cooling process and then sweeping with a broom. This would be a waste of energy since a hot retort can cremate a body in a little over one hour, and it would take over three hours if the retort were cool. 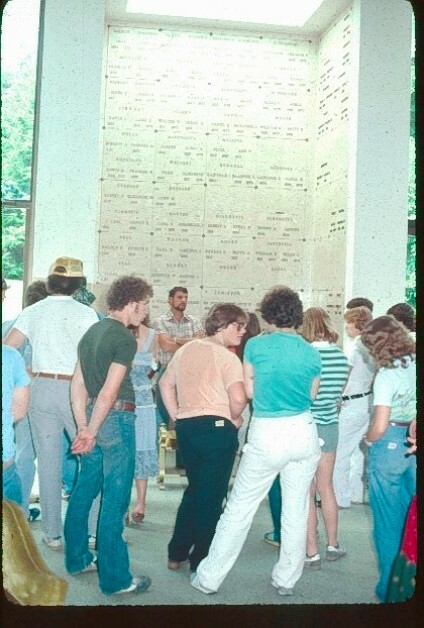 The Cedar Hill crematorium had 3 retorts. 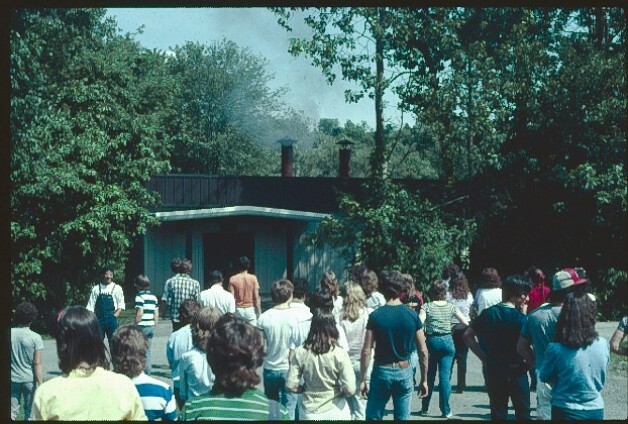 One was always going so the students could observe a cremation in progress. 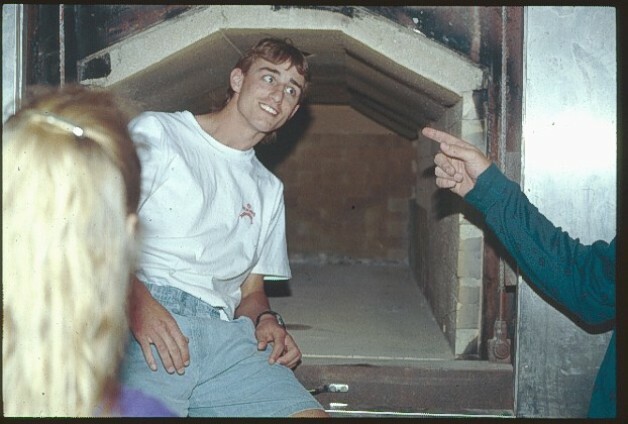 Mocko would open the retort's main door and then open a small door so the students could look directly into the retort and see a body in the process of cremation. The flame from the top was bright, but body parts were visible. The students would form a circle and go around several times to pear into the hole. Some had cameras and held them just outside the opening to get a photo. It was a highlight of the field trip! 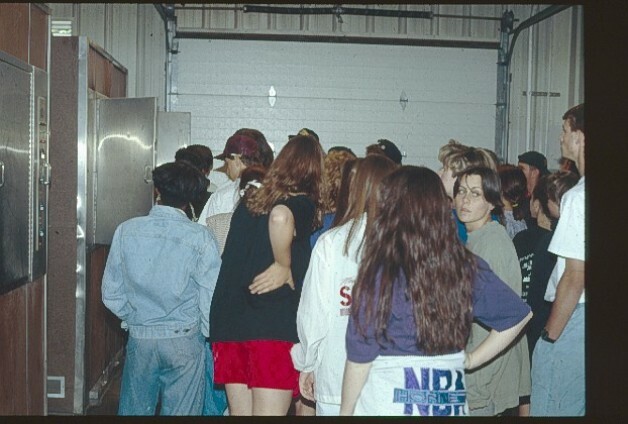 Unfortunately, in 1993 state investigators made a surprise inspection on May 20th. They found 2 violations: 1. 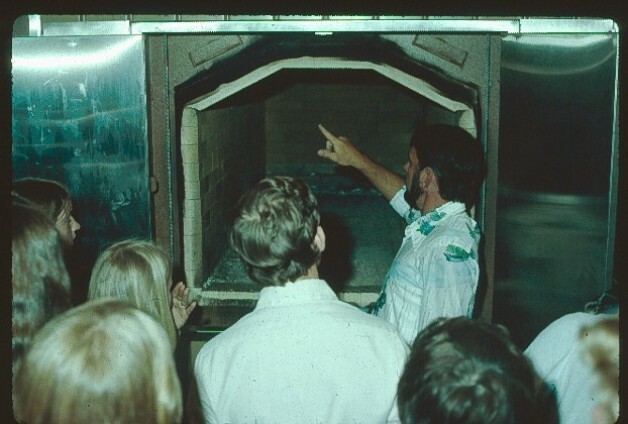 An oven so filled with debris that they inspectors believed different people's cremains were mixed; and 2. There was not private area for people to view the bodies prior to cremation. Of course, the local newspapers had a field day with that type of story. Lawsuits were initiated and finally the charges caused George Mocko to resign from his position on September 2, 1993. The cremains are returned to the funeral director in a plastic bag inside a plastic container. The funeral director either returns them to the family or arranges for burial, or to be placed in a crypt in a columbarium in a mausoleum or cemetery. They do not want to have them "left around" because they must be stored forever to avoid a lawsuit over "missing" cremains. If the family takes the cremains they are under few restrictions as to how to dispose of them. The family might store them in a closet for disposal at a later time. They might be stored or displayed in the house in a urn made of brass, wood, or plastic purchased from the funeral home. They can be scattered almost anywhere: In a stream, lake, on a field, at a favorite summer home, etc. They could be buried almost anywhere. The only restriction is that you cannot offend the public when the disposal is underway. In other words, you might get into some legal hassles if you threw someone's cremains in another person's face.